Junior tv, film and radio major, Paige Ewing, was elected to SGA’s executive board as Student Body President on April 9. She previously served as Vice President for Communications during the 2018-2019 academic year. When junior tv, film and radio major Paige Ewing woke up on April 9, she knew this day would be more unusual than normal. Labeling herself as “not a morning person,” she began her day around 8 a.m. This was the day the Student Government Association (SGA) would reveal the results of its campus-wide elections for the 2019-2020 school year. After three years of serving in SGA, Ewing ran for Student Body President, against fellow SGA members Allison Anderson, a junior political science major, and Kaylin Garcia, a junior marketing major. The results proved to be great for Ewing — she woke up as SGA’s Vice President for Communications that day, but went to bed as SGA’s new Student Body President that night. Senior environmental studies major and outgoing SGA President Olivia Barone, explained the role that SGA President played in being a representative of the entire student body. 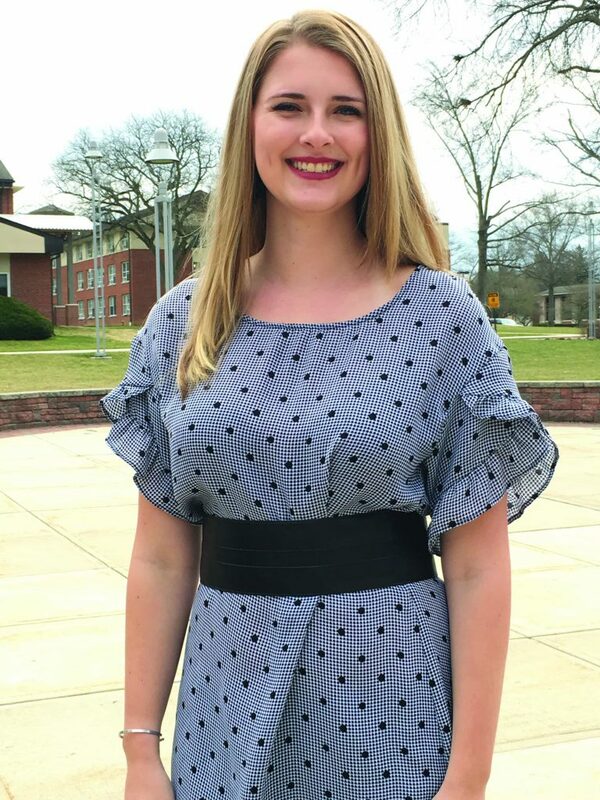 “The Student Body President has amazing opportunities to start initiatives, create dialogue and challenge ideas for the betterment of all Rider students,” she said. Barone disclosed that one of the biggest issues she faced during her presidential term was more visibility for the organization. “I really wanted students to know our role on campus and how we help anyway we can,” she said. Now, Ewing strives to continue Barone’s mission. Nonetheless, Barone said that she is proud of all she was able to accomplish during her presidential term, including the commuter lounge renovations, the campus tradition improvements and the largest campus-wide election campaigns. “We were able to address a lot of issues head-on and I’m really proud of my team for being able to work together so effectively,” she said. Throughout her experience in student government since the fourth grade, Ewing looked forward to this new journey in her academic career. Barone offered a final piece of advice for Ewing as she begins her presidential term.